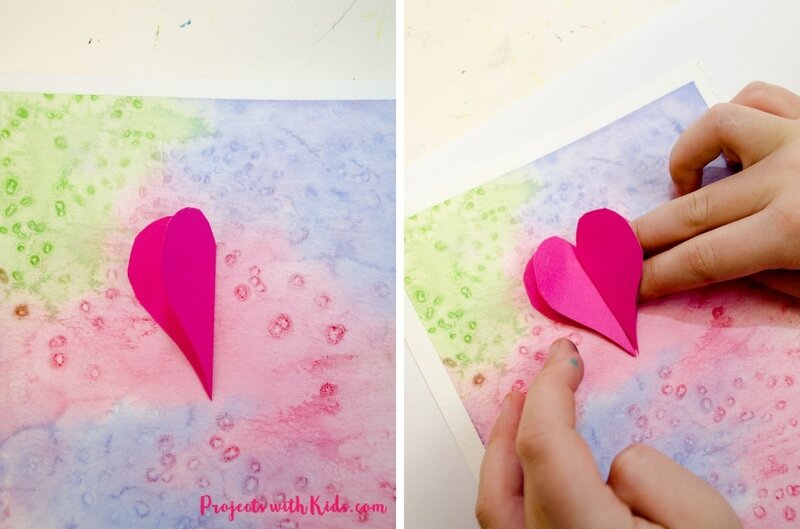 Kids will love exploring color with watercolors and using paper hearts to create this heart art project. 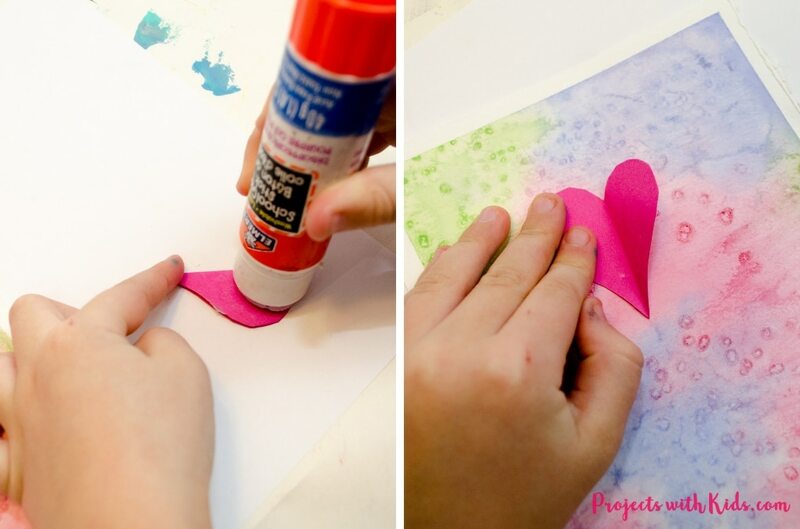 This is a great project for kids preschool age and up, and would make a beautiful Valentine’s Day or Mother’s Day gift. 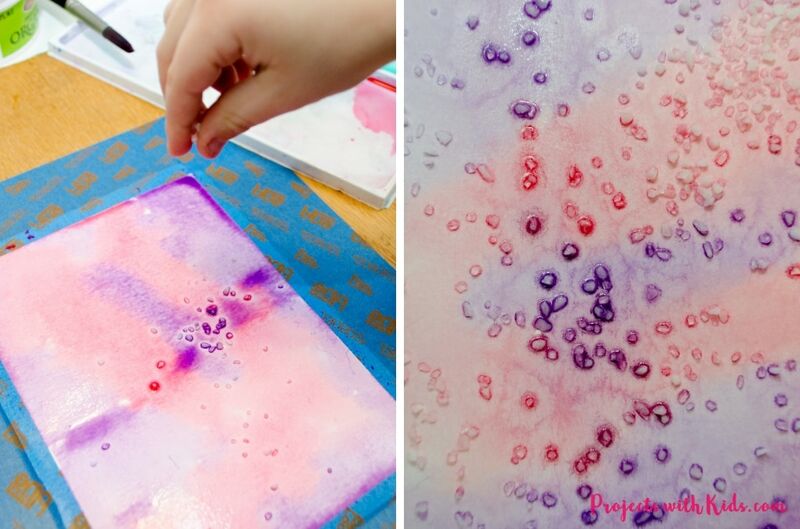 Using a wet on wet technique with watercolors is a wonderful way for kids to explore mixing colors and adding in some salt to that technique can result in some really cool patterns and textures. 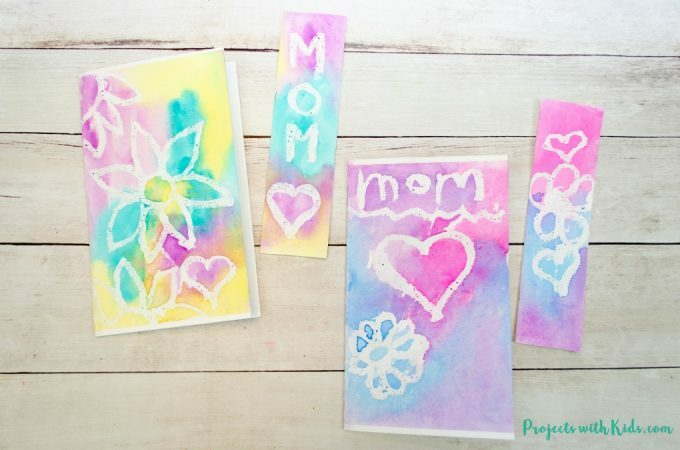 Check out my awesome watercolor painting for kids post for more fun and creative ideas kids will love! 1. First, get your watercolor paper ready. You can use any size you like, I cut our paper into 4 pieces which made each piece 5.5 x 7.5 inches. 2. Tape your paper down to a wooden board. 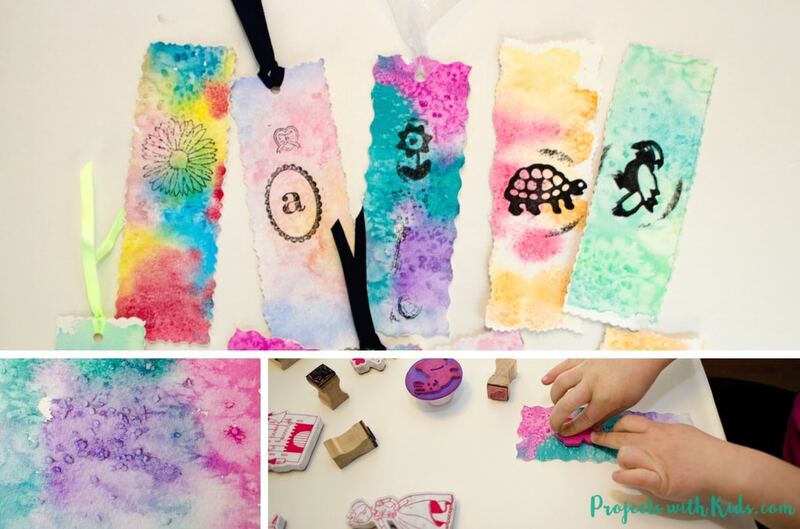 This will help to keep the paper from sliding around when the kids are painting and also keep the paper from buckling as it dries. But this is not an essential step, so if you don’t have a wooden board to use you can skip this part. 3. 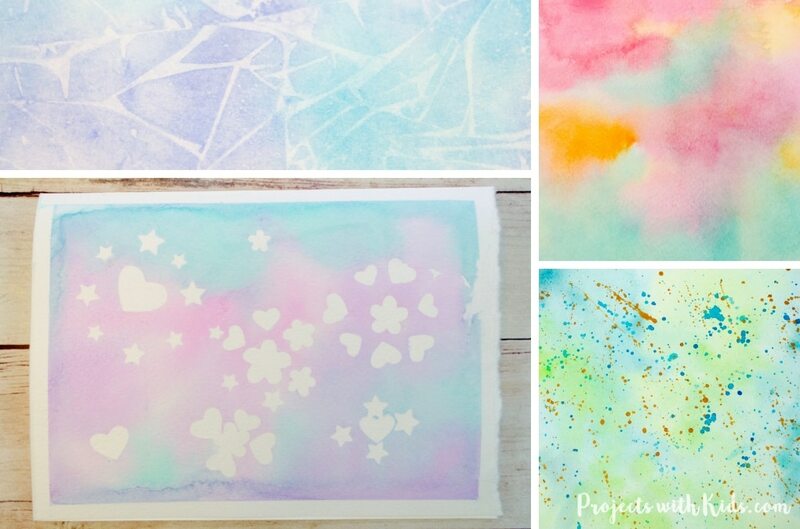 Mix up your watercolor paints and get your coarse salt ready. When using a wet on wet technique, I like to use 3 colors but 4 colors work nicely as well. 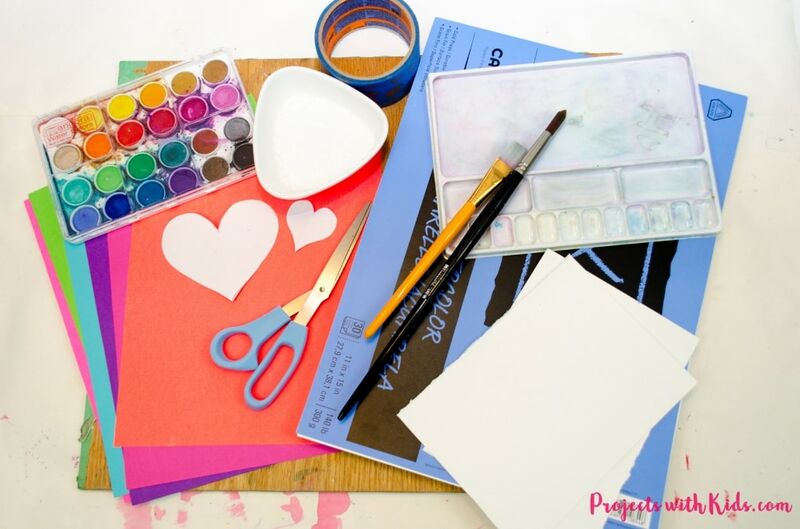 Test your colors on some scrap paper first to make sure they are bright enough. 4. 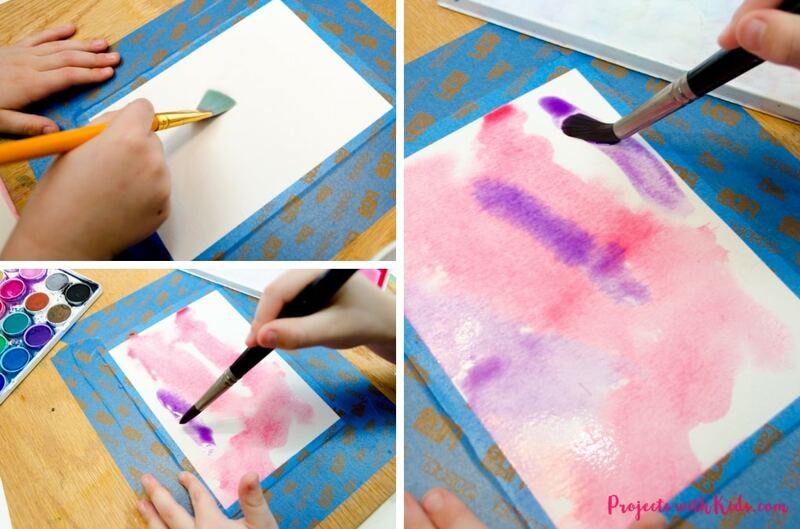 Using clean water and a larger brush, have kids wet their watercolor paper. You want the paper to be wet but not soaking. If there is too much water on the paper, simply dab it with some paper towels. 5. 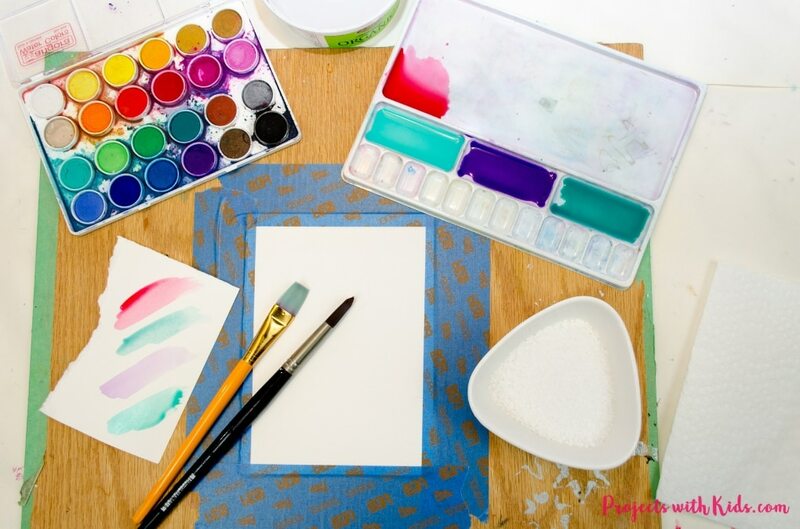 While the paper is still wet, start to paint on your colors. Remind kids to rinse their brush in between colors. 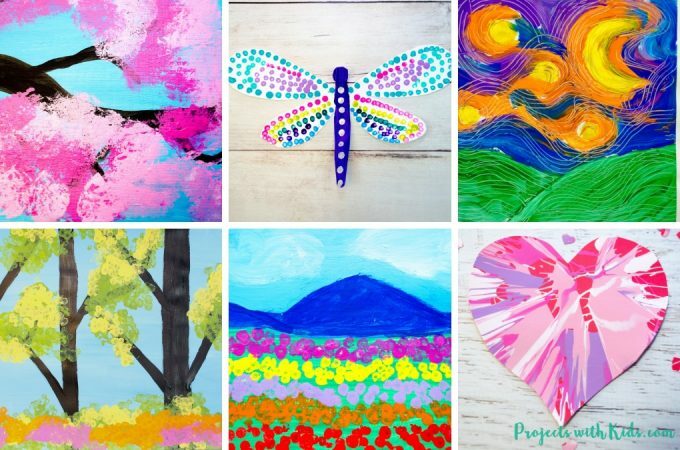 Kids can experiment with dropping their paint on the paper, dabbing it on and painting in brush strokes to see how that affects the colors mixing together. 6. 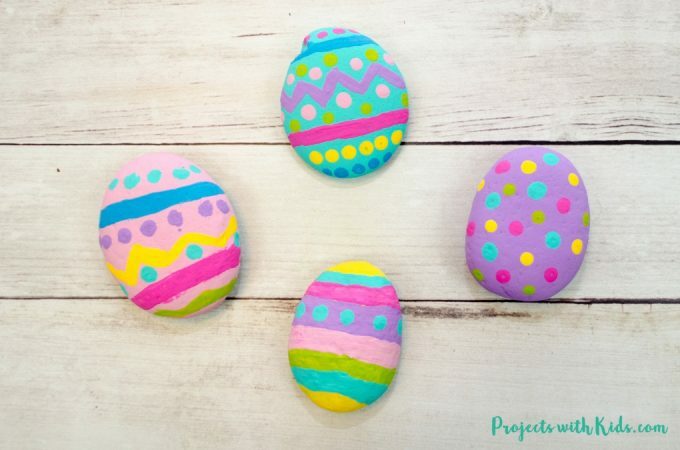 When they are done painting and while their paper is still wet, they can sprinkle on the salt. 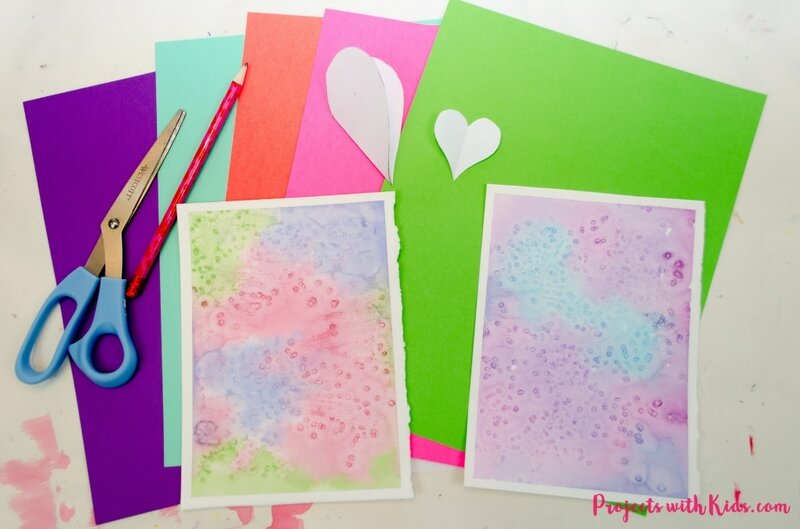 It’s fun for kids to watch how the salt absorbs the paint and creates beautiful and unique patterns on the paper! 7. 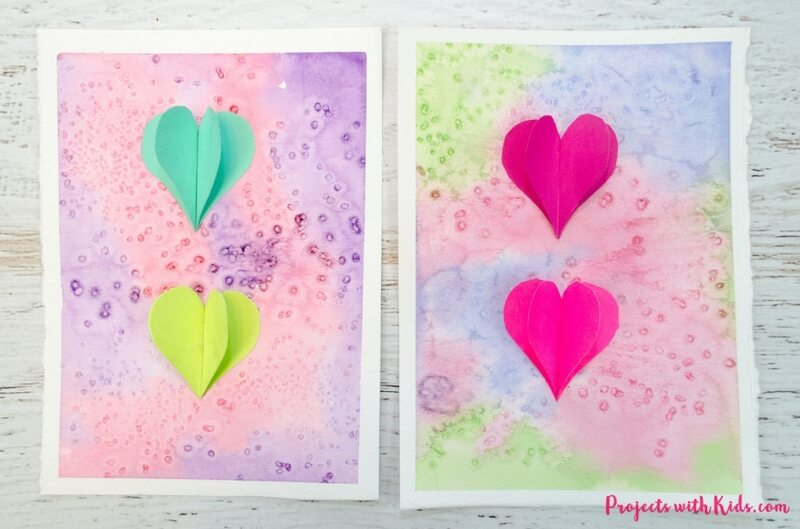 While the painting dries, you can make your paper hearts. Each heart uses 2 heart cutouts. You can have 1 big heart in the middle of your painting or 2 smaller hearts stacked on top of each other. Both look great. Decide on the colors for your hearts, fold the paper in half and cut out your hearts. I made a template first out of white paper so I could gauge the size of my hearts. 8. 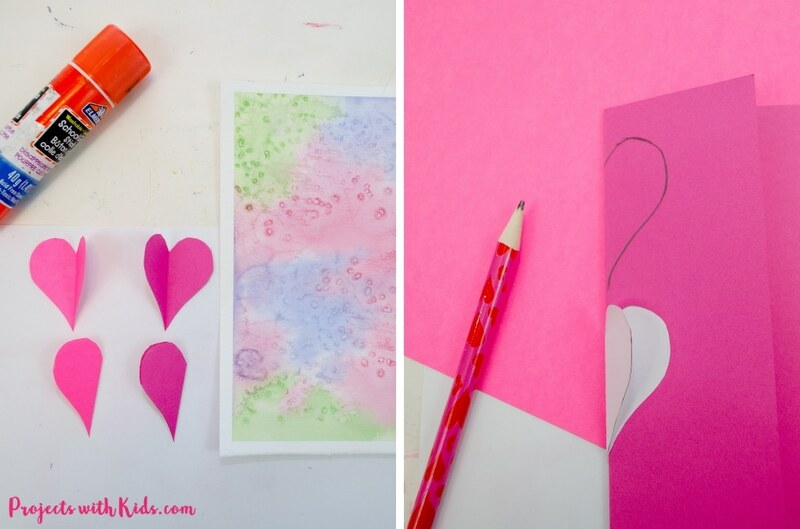 Glue one half of a folded heart to your painting. Press down firmly. Glue the second folded heart down next to the first, like in the picture. This heart art project turned out beautifully. 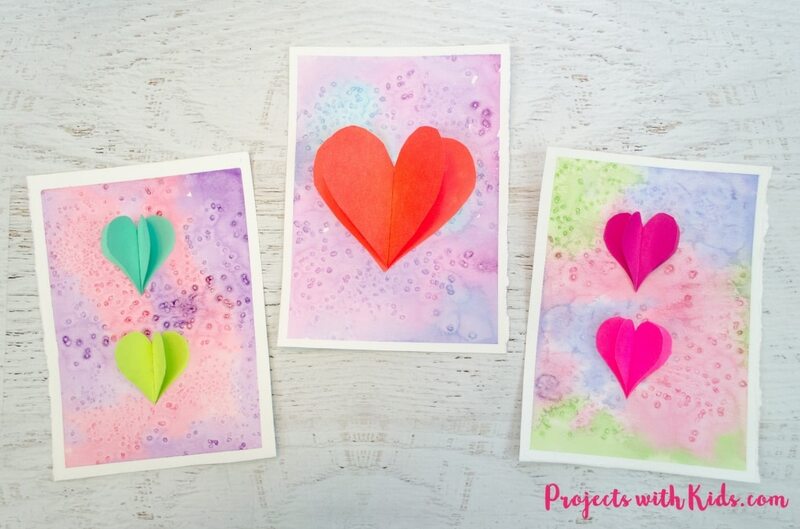 I love how the paper hearts give a bright pop of color to the softer watercolor painting underneath. 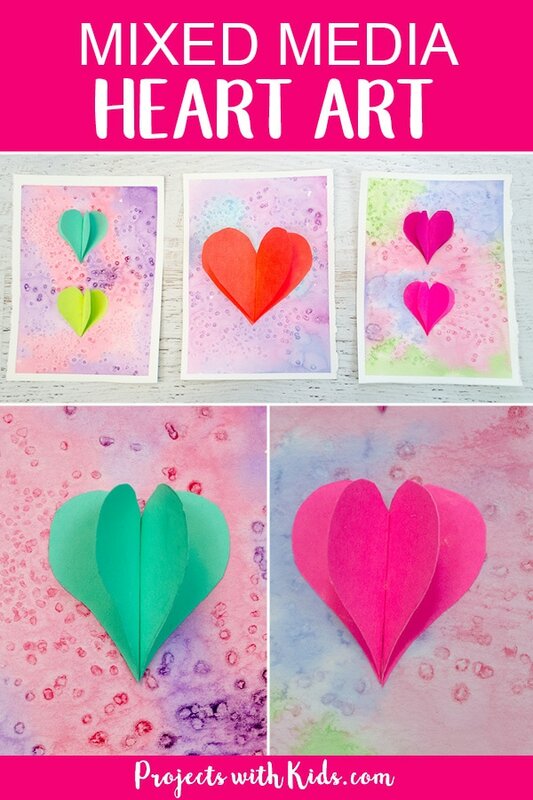 Kids can choose the paint colors and paper heart colors to make this art project truly unique. 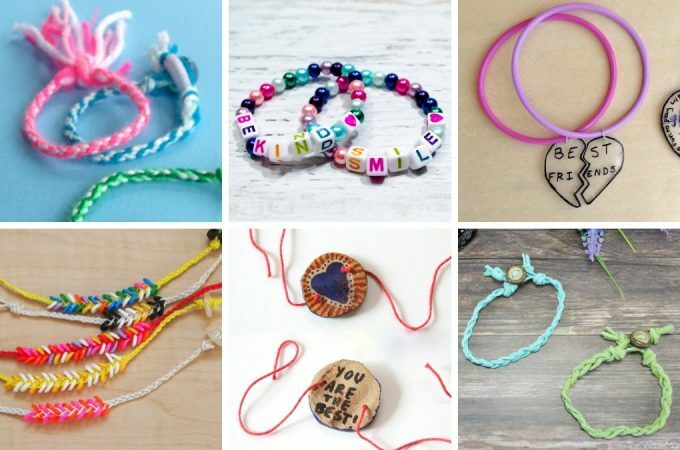 A great Valentine’s Day or Mother’s Day project and gift!